Earn $20.89 in Rewards credit (2089 points) What's This? Now with plenty of gearing options, the new Dura Ace cassette is perfect for a variety of riders and applications. And, it's new alloy carrier saves weight and increases stiffness over previous models. Works best when used with the 7900 series chain but it also compatible with older Shimano 10 speed chains. All sizes are back compatible and work with the RD-7800 or RD-7900 rear derailleur except for the 11/28 model which requires greater chainwrap capacity and the use of the RD-7900. 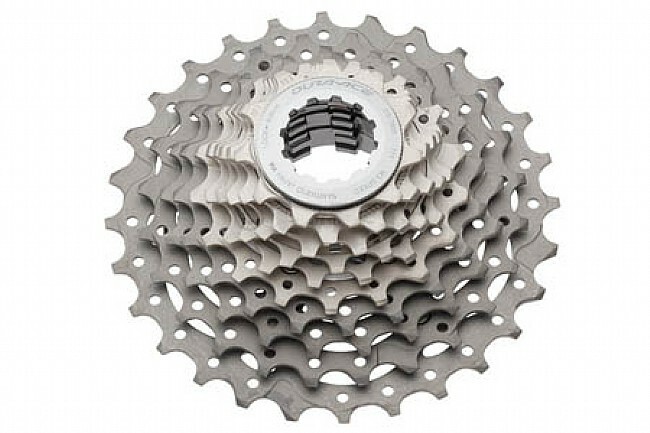 Ordered this Dura-Ace CS-7900 10 Speed Cassette as a replacement to my worn cassette of the same type. People who use the Dura-Ace group know that it is important to replace their cassette after a feel years of heavy riding. It is good to be able to source WesternBikeWorks for this part and at a very good price.